Prominent & Leading Manufacturer from Hyderabad, we offer ventilation centrifugal fans, high pressure blowers and id fans. 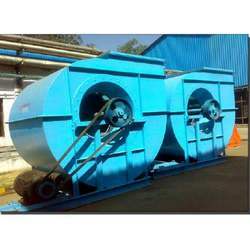 ESSAR one of the leading manufacturers and suppliers of centrifugal blowers. Centrifugal Blower is Indispensable equipment for air pollution systems. 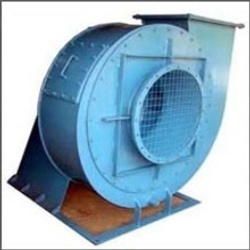 We manufacture quality range of industrial fans which include ID fans, FD fans. SA fans and the mechanical construction of centrifugal blower provides maximum efficiency with minimum maintenance. The fans are manufacture MS. SS. PP &FRP and Aluminium of various grades. Centrifugal blowers of both SISW and DIDW types. ESSAR fan impeller are statically and dynamically balanced as for IS 4894 standards. Centrifugal blowers are offered in 3 types such has high pressure, medium pressure, low pressure blowers. Our Centrifugal Blowers are specially designed with different Curves and different widths such as Backward Inclined. Backward curve. Radial tip. Forward curved blade blowers, and etc. We also supply Multi-stage blade blowers, this blowers meet different duty conditions with low pressure, medium pressure, high pressure applications. Our centrifugal blowers are highly acknowledged for its features like low maintenance heavy duty noise less operation and efficiency. For wear resistance for impeller we provide hard facing. Also we make the impeller from Sailme/Hordox material. • Our blower static pressure range from 10 mm WG to 1500 mm WG. • Our blower capacity range from 100 m3/hr to 5.00,000 m3/hr. 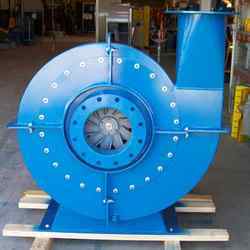 • Our blower temperature range 0 to 500 c.
• We are provided DIDW & SISW blowers. Looking for Centrifugal Blowers ?